It’s been a big week. Yeah, I know, I know. I say that every time I get on here… and I’m very aware those visits are few and far between. This week has been a combination of preparing Knowledge Hurts for publication and working on edits for Book Four, which is unnamed as yet. Hoping to have ‘Hurts’ available on Smashwords and Amazon Kindle early next week with the paperback shortly thereafter. For anyone who’s missed it – here’s the cover, which I am really pleased with. My friend Hellvis is an absolutely awesome designer and the covers for both ‘Quickening’ and ‘Hurts’ have been purely her own design. The only thing I provided is the wing graphic and she takes over from there. The other interesting thing I’ve done this week, is to start reading my own books. Naturally, I’ve read them back to front and front to back more times than I would care to count, but that’s always from the skewed perspective of both writing and editing. I’ve found it’s a completely different situation when you read the books as a ‘reader’. This week I’ve been reading ‘Revealed’. For starters (and I’m blowing my own trumpet here) – I think it’s a good read. I’m trying to imagine reading it from the reader’s point of view alone, and I have to say, I think it tumbles along at a reasonable pace. Being 1st person objective, I’m hyper-aware of the use of the words ‘me’ and ‘I’, but in my less than objective opinion – I don’t think I did too badly. Best of all, I’ve discovered through being a reader rather than writer, that I adore these characters. I have a vested interest in their lives and I smile when they smile, I shake my head when they do something stupid and I love discovering what they will do next. And that’s the truth of it – most of the time, I don’t have a clue what they are going to do next. I know many writers plan their entire book from start to finish, working from cue cards, or copious notes on how each chapter is going to be written. Not this little black duck. When I sit down at the keyboard, I don’t have a clue where we’re going next. Of course, sometimes that means I (and the characters) get painted into a proverbial corner. But that’s part of the experience for me – wondering how to get myself (and the characters) out of whatever corner I’ve written them into. Regardless of whether it’s the ‘right’ or ‘wrong’ way to write – it’s the way I’ve always written and I very much doubt at my age that my process is likely to change. Talking to my friends from my local writer’s group, I know that every writer has their own process for writing and its very much a personal thing. Okay. Enough rambling from me for today. I’d promise to visit again soon… but you all know how that goes. For now, I’m heading back to work on publishing ‘Hurts’. And reading ‘Revealed’. 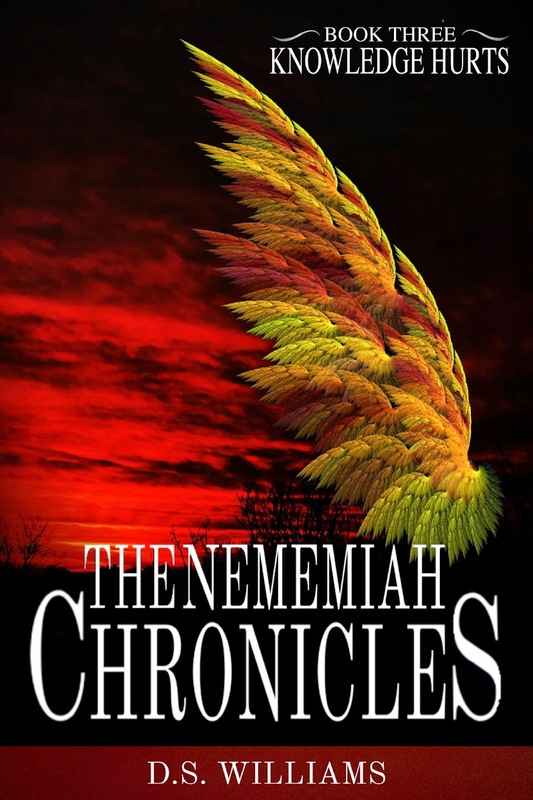 ← Book Three of The Nememiah Chronicles has a title!